Kiplinger Wealth Advisors utilizes a disciplined investment process that concentrates on asset allocation and diversification among asset classes – two of the most critical determinants of investment planning success. This approach has been developed from dedicated research, focusing on the behavior of worldwide financial markets and investment managers. Our principals of sound investment strategies provide and deliver investors personalization, diversification, coordination and management. Market timing and specific stock selection are NOT the keys to reaching investment goals. Ultimately, the most important step in the entire investment process is the first step, where an investor’s objectives are carefully defined, then implemented with an allocation among stocks, bonds and cash that is appropriate to their targeted objectives. Asset allocation is a precise division of the investor’s portfolio that sets up the initial boundaries for a portfolio’s risk and return. Asset Allocation does not ensure a profit or protect against a loss. 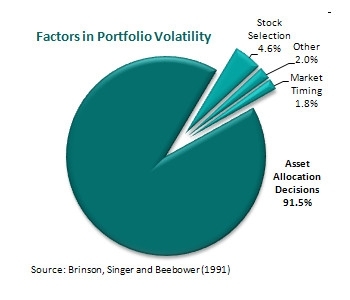 Asset allocation decisions are the most important factor affecting total portfolio volatility. The number and variety of investment choices keep growing all the time – U.S. equity, international equity, U.S. and foreign fixed income and emerging markets. Each of these markets and segments within them have their own characteristics, own return potential and own possibility for volatility. As a result, Kiplinger believes that a division of assets is only the beginning of the asset allocation story. The conclusion lies in the portfolio structure itself, a meticulous diversification of assets. 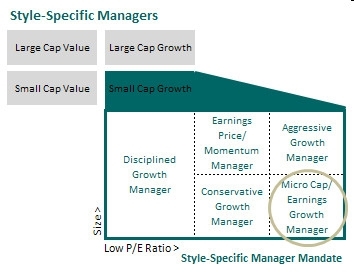 For example, the U.S. equity market has four distinct sub-asset classes: large cap value, large cap growth, small cap value and small cap growth. Well designed exposure to each sub-asset class is required to maximize the risk/return characteristics of a portfolio. There is no grarantee that a diversified portfolio will enhance overall returns or outperform a non-diversified portfolio. Diversification does not ensure against market risk. Our structure lies in its tiers, allowing access to a broad base of securities. It is this multi-tier portfolio, comprising of a multi-asset, multi-style and multi-manager approach, that leads to the pursuit of a successfully managed life goal. Not factoring in tax implications can significantly reduce the chance to meet your financial objectives. At Kiplinger, we take the position that taxes do play an integral role in the investment process and should be considered when structuring and implementing an investment policy. Tax sensitivity is an ongoing process, from portfolio structure to daily monitoring to manager selection. We have found that identifying, hiring and managing money managers helps to deliver consistent performance. 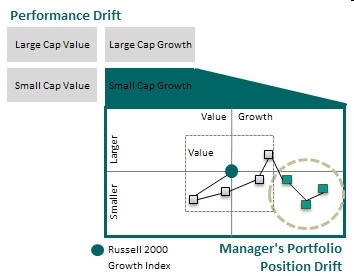 This is the "managing the managers" phase in the overall investment process. Money managers who specialize in a particular area of a market have the experience necessary to perfect their own investment styles. Our powerful research capabilities begin a step-by-step approach for the selection of the managers. This manager research process encompasses a manager’s performance, philosophy, process and people. Even the most careful investment plan is subject to the natural movements of the markets that may cause allocation targets to drift from the original positions and result in unintended risk. Or, client objectives may shift over time as their personal situations change. Kiplinger addresses such inevitable change through its two-step process of continuous portfolio management. First, the asset mix is systematically rebalanced to it targeted points, helping to reduce risk and keep the investment strategy on track. Next, through ongoing monitoring and manager research, we ensure that the managers’ investment style remains consistent with the objective of their segment of the investment portfolio. Please call us at 937-886-1442 or Request Information about an investment opportunities with Kiplinger Wealth Advisors.